Extractions are NOT the cheapest option – Save your teeth! 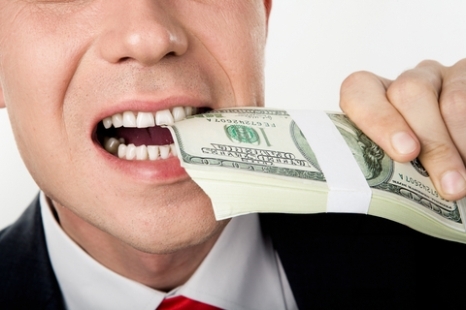 Preventive Dentistry will save you money! You have a toothache. It’s been bugging you for weeks, and now the pain is unbearable. You don’t have a regular dentist – in fact, you haven’t been to the dentist in years – and you have no idea what to do. Should you simply have the extraction? It’s definitely the cheapest option – or at least, that’s what it appears to be. However, as Dr. Brian Weyneth points out, tooth loss can actually be insanely expensive, with health as well as financial repercussions that can span decades. Asking your Naperville dentist to simply pull an offending tooth may not be in your best interest. What prompts patients to seek extraction? A tooth that is broken will often develop an infection. The same holds true for a tooth that has decayed to the point that the root and nerve is affected. Pain levels rise, infection spreads, and soon all the patient can think about is getting the offending tooth out of their head. Sometimes it’s a tooth that has previously been worked on that develops a problem – a filling fails or a crown falls off. In other cases, it is a previously thought “healthy” tooth where hidden decay has been steadily working its way inward. In either case, extraction shouldn’t be the go-to! What are the consequences of extractions? When you lose a tooth, the arch formed by your teeth in that jaw is weakened. This means the teeth adjacent to the missing tooth no longer can depend on it to bear some of the massive strain that chewing and biting puts on your teeth every day. Those teeth are now more prone to decay, and the empty socket can also precipitate bone loss in the jaw. The teeth next to the extracted one can become weaker and weaker, loosening in their sockets until they break, fall out, or become ground zero for infection in turn. Speech can suffer, and ability to chew, leading to poor nutrition. Appearance may become an issue, with an unwillingness to go out in public or socialize because of the gaps in an otherwise charming smile. What can be done in place of or after an extraction? Instead of simple extraction, ask your Naperville family dentist about other options. The tooth may be able to be saved, with a procedure such as a root canal, titanium post, and crown. Alternately, the tooth may have to be pulled, but the support issue for the other teeth can be addressed by installing a bridge or a partial denture. Dental implants are usually considered to be the best solution to a tooth that requires extraction. A titanium screw is placed in the jaw where the original tooth used to be, and a crown is created to match your existing teeth. After installation, your new tooth will feel, look and function just like the original, and it will likely last you the rest of your life. Take care of your teeth to prevent the need for extractions, and be aware that there are other options. Saving your teeth is good for your health! Call or click to schedule your appointment at Sherman Oaks Dental today. Stop waiting!